Do You Need high-quality guest post on your site then you are in right place?I am offering 7 guest post on 7 high-quality general blogs. I will provide 7 guest post on high authority site like Behance, kinja, storeboard, medium, Instructables, kiwibox, patch at a very cheap price. It's a limited offer. 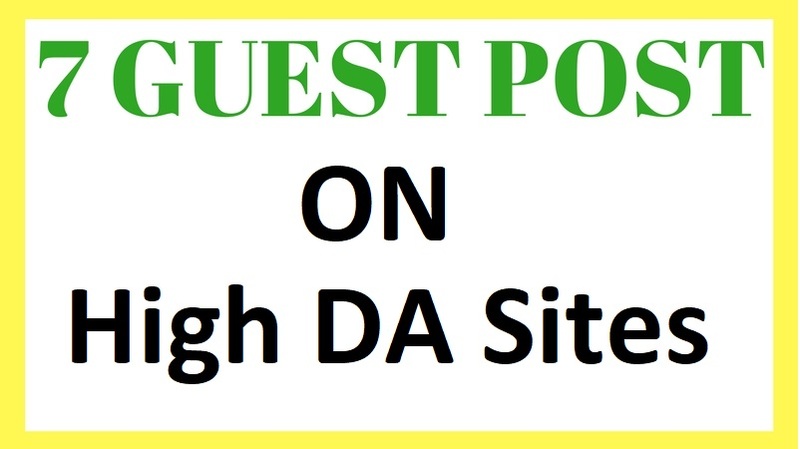 Do 7 Guest Posts On High Authority Websites Manually is ranked 5 out of 5. Based on 1 user reviews.